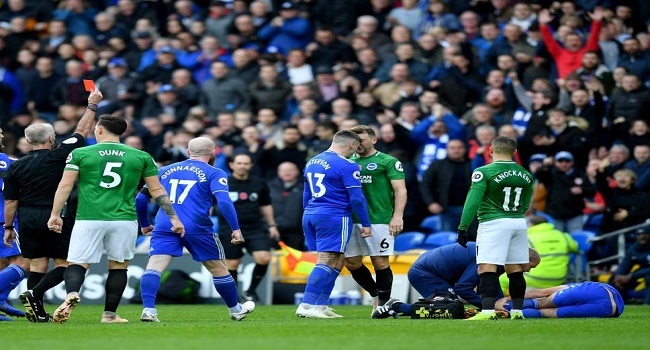 Cardiff City’s Sol Bamba netted a dramatic late goal after a goalmouth scramble as they snatched a 2-1 win over Brighton this morning. The Welsh club recorded their second top-flight victory of the season. Brighton have lost just one of their 11 league games against Cardiff. Looking at the match results, Huddersfield held West Ham 1-all, New Castle defeated Bournemouth 2-1, and Southampton played a 1-all game against Watford while Burnley held Leicester nil-all.